Add water in a wide bowl,add salt and sugar and mix it until it dissolves. Add flour little by little and knead it into medium soft dough. 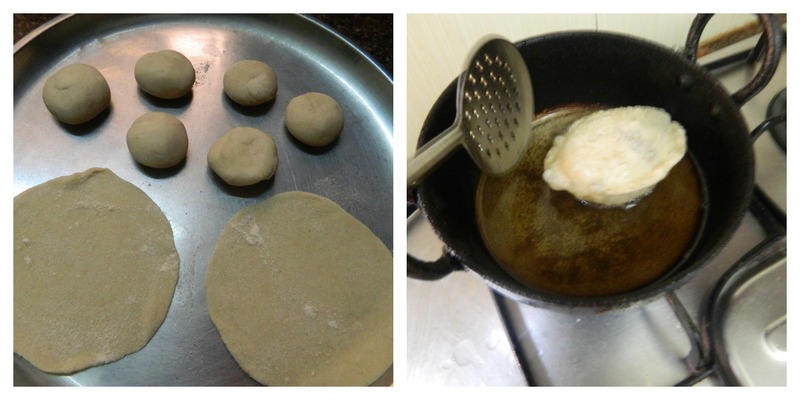 See that the dough is not sticky nor too hard. Pinch lemon sized ball,make it into balls,slightly flatten it and roll it into small discs about 5-6 cm in diameter as shown in the picture. Roll it medium thin, not too thick nor too thin. 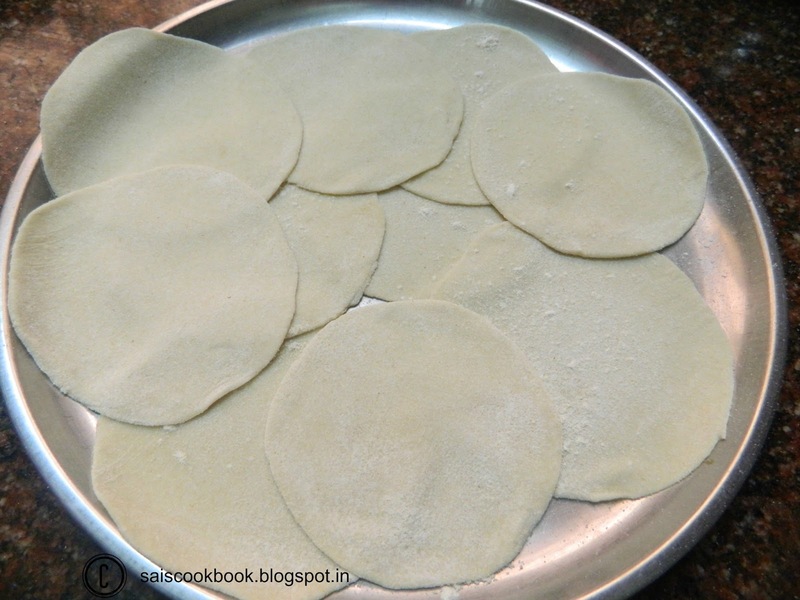 Heat oil and slide the puris in the hot oil,using a perforated ladle press the puri at the centre to puff up and turn it to the opposite side and fry until golden yellow for few seconds. Transfer it into a colander where the kitchen tissue is laid to absorb the excess oil. Adjust the flame when you drop the puri’s in oil. 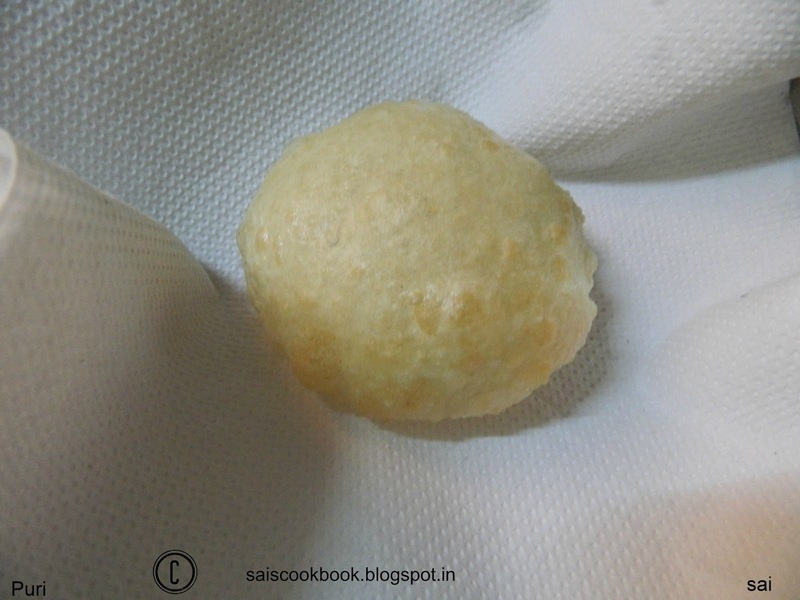 If the puri’s are puffed right it means it is perfect. 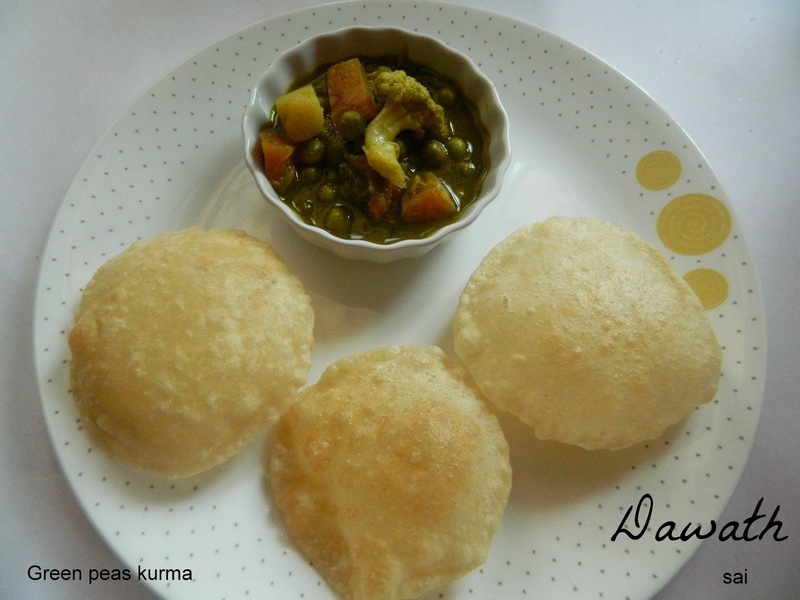 Serve the puri hot .